I am 110% satisifed with the item I ordered and have recommended this business to family and friends for christenings and baptisms. These bonnets are practically couture. Love them. 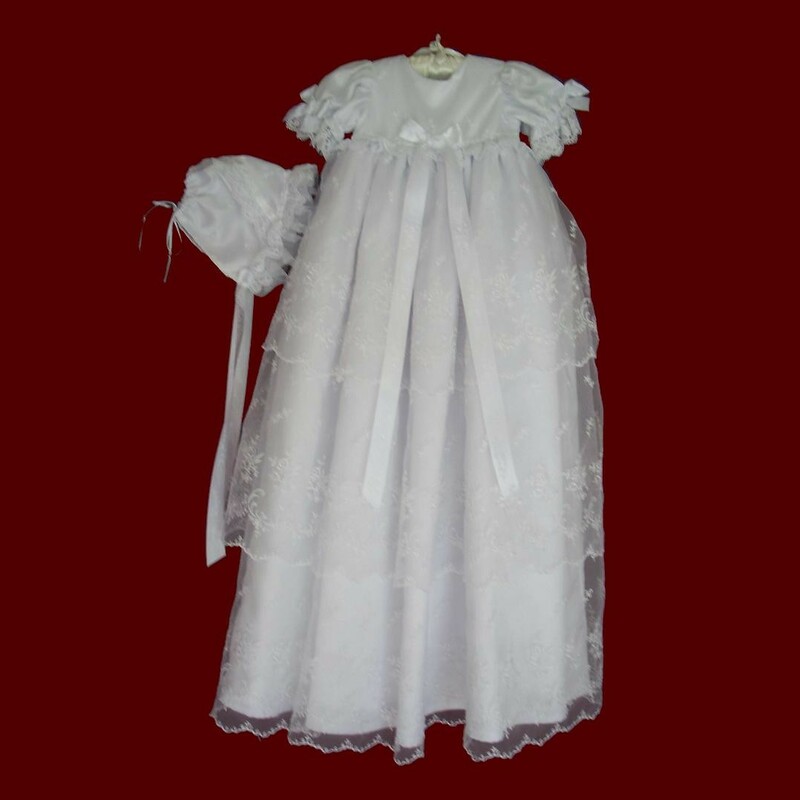 Three tiers of flowing sheer organza with a lovely floral design over a silky soft lining highlight this beautiful christening gown with venice lace trimmed sleeves and large floral ribbon bows. Has a double row of heart shaped buttons to adjust the back yoke and is open down the back skirt to allow for easier changings and the ability to spread the gown out fully for beautiful portraits. 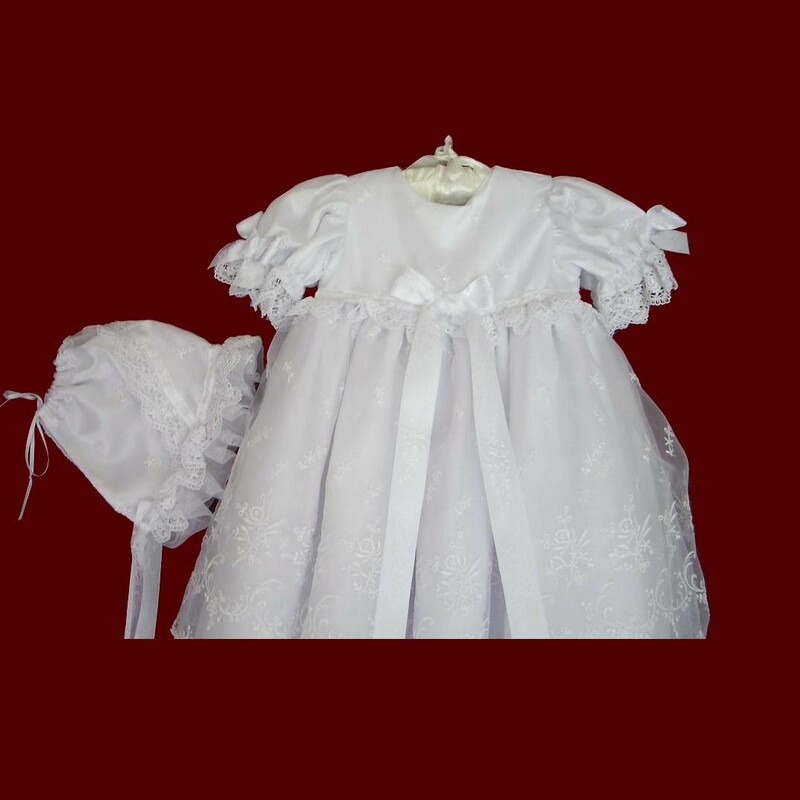 Includes a cotton batiste slip which can be personalized with baby's name and christening date and matching bonnet with sheer ruffle and an adjustable back ribbon casing. Available in white or ivory in your choice of finished gown length and short or long sleeves. Irish accents available on all items on this website. 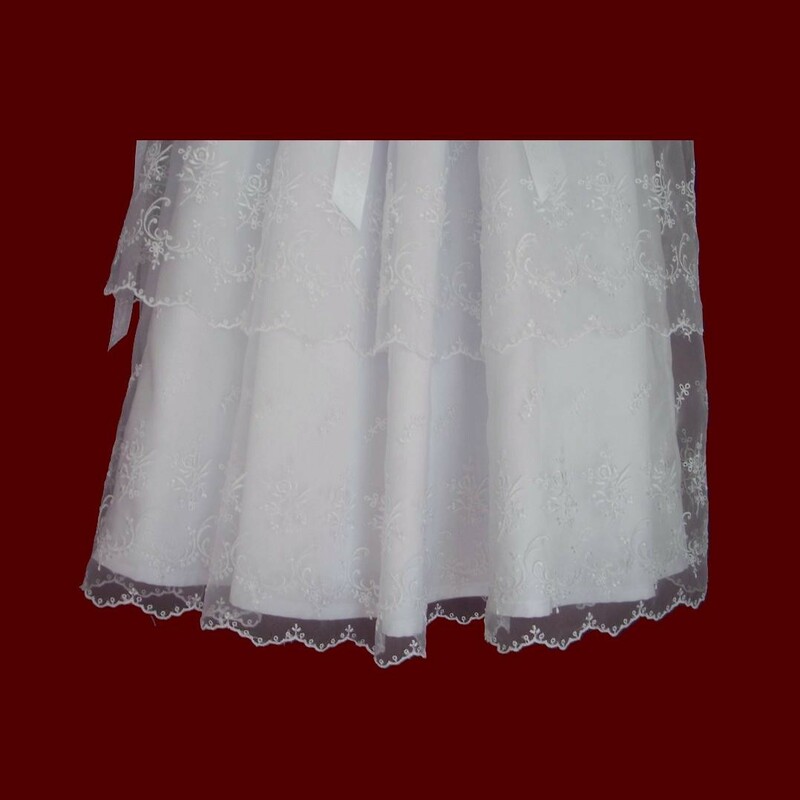 Embroidered organza fabric may vary depending on availability.